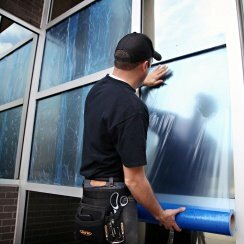 From protective window films to floor protection, Trimaco has all of the products you need to protect any surface. Our adhesive carpet protection film is professional grade film that protects against grime, dirt and stains, while our protective counter top film offers top quality counter top protection that acts as a surface guard against scratches and stains. 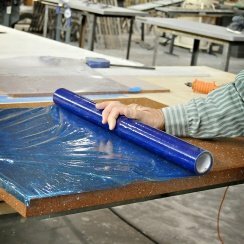 With our wide selection of temporary surface protective films, you are sure to find one that fits your specific surface protection needs. Trimaco’s line of films are available in a variety of thicknesses, colors and sizes. For an additional, lighter option check out Trimaco’s flooring paper. 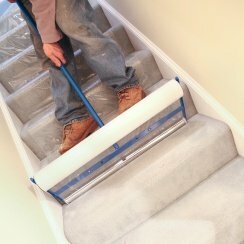 Easy-to-use adhesive film provides a tight bond with carpet. 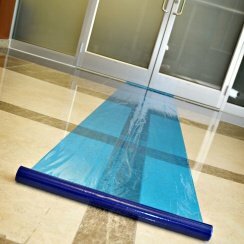 Use on hard surfaces for painting, moving and construction projects. 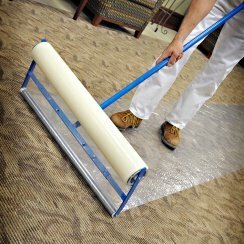 For easy application of 24″, 30″ and 36″ carpet and hard surface films. Keep counters protected from scratches and stains. Blue film protects window glass and panes. 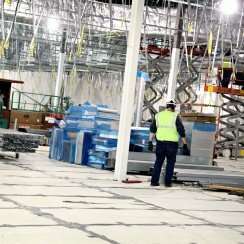 Puncture resistant film provides temporary closure to open ductwork without tape. This all-purpose film can be used on any surface and is repositionable.